Kids and adults alike will find San Antonio’s HemisFair Park overflowing with fun activities and exciting adventures. A Magik Theater for kids, a playground built like fortress, educational museums, and the center piece and one of San Antonio’s most famous attractions The Tower of Americas. All set in a beautifully landscaped surrounding, with large shade trees, flowering plants and cascading waterfalls. In 1968 HemisFair Park was built to host the 1968 Worlds Fair and to commemorate the 250th anniversary of the founding of San Antonio. From April 6th to October 6th six and a half million visitors from around the world came to experience the culture, cuisine and history of countries such as Boliva, Brazil, Germany, China, Japan and many others. The park still embodies the original concept of the Worlds Fair, to showcase San Antonio's ethnically diverse culture and emphasize the city as a center for international trade and commerce. 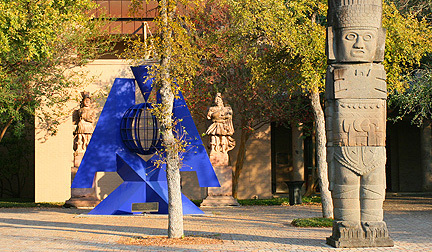 The University of Texas San Antonio's Institute of Texan Cultures provides a wealth cultural history, science, and technology. 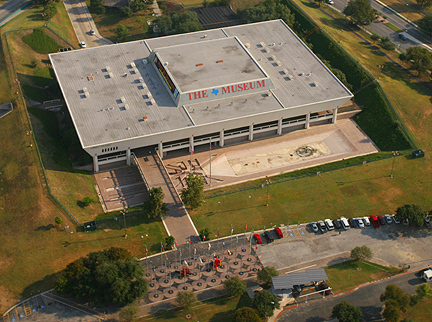 The museum celebrates Texas culture and ethnicity through hands on exhibits, including "The Texans One and All", "Creation and Cosmos" and "Living Texas". 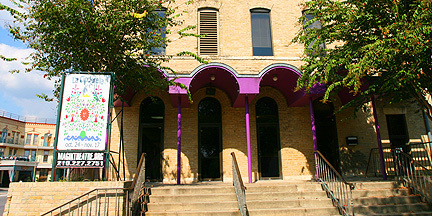 The ITC also houses more than 6,000 volumes of Texas history and some 40,000 historic photographs. "The ITC is a cultural experience museum," says Executive Director John Davis, "It's not a collection of history books or exhibits behind glass. These are immersive, interactive learning opportunities. We don't just tell the tale, we bring it to life". The Magik Theater is a wonderful place to take the kids for an entertaining and educational theater experience. Professional and affordable these plays are presented to introduce a new generation of young people to the magic and mystery of theater through plays and musicals such as "The Nutcracker: A Comic Suite" and "Pocahontas, A Musical". Shakespeare in the Park is professionally produced and is set in the beauty of San Antonio's most scenic natural locations. Mexican Cultural Institute is an extension of the National University of Mexico, the Institute promotes Mexican culture through art exhibits, photography, films, lectures, workshops, concerts, dance performances and theatre. Was used as the Mexican Pavilion during the 1968 Worlds Fair, with the goal of preserving San Antonio's cultural and social bonds to Mexico. Usually located at HemisFair Park. But because of construction projects underway at the Henry B. Gonzalez Convention Center, the Mexican Cultural Institute has moved to a temporary location on Main Street, the Casa Mexicana Gallery, remains at HemisFair Park. Riverwalk San Antonio Spanish charm and old world romance merge along San Antonio’s foremost attraction, Paseo Del Rio, the River Walk. The Tower of Americas is one of San Antonio's most popular attractions, locals and visitors alike come to enjoy the stunning views and great food.